Makes packing the kite easier, since it was sometimes hard to empty all air with the one pump system when packing up. 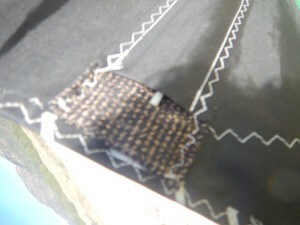 Most seams on the leading edge are now reinforced with Kevlar to prevent the seams to deteriorate on aggressive ground friction.They protect the leading edge from damage whenever the kite comes into contact with the ground and significantly prolong the life of the kite. Stronger assembly of the panels are now glued and sewn together to make the canopy more rip resistant. The Bandit 2015 struts are designed with a vertical cut in order to optimize the strength/diameter ratio. 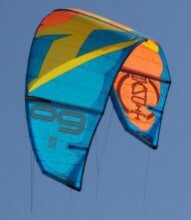 DELTA C-SHAPE is a patented design used by F-ONE on all kites for the past 8 years. This shape was the result of a design research towards maximum optimization of the aerodynamic performances of the kite and of its depower. It gives the possibility to fit more canopy area in the middle sections to create more projected area while the C Shape makes sure the kite remains responsive and fluid. A brilliant and visionary moveback in 2008, when F-one decided to reduce its kite range back -more or less- to only one type of kite; The Bandit. 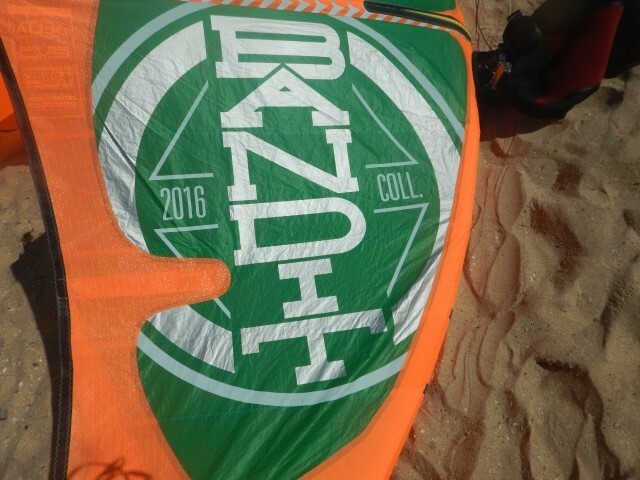 It is safe to say the Bandit made a lot of kiters really happy, no matter if they where doing freeriding, freestyle or even waveriding. An impressive achievement. Whatever we will have to say about the Bandit everybody, including us, will be happy riding a Bandit. But is the ninth version still revolutionary? We could test five different sizes of the 2016 version for over one month to answer that, and many more, question. With a kite with such a broad spectrum of possibilities it is easier for you to try new moves or even other disciplines. For example take theOzone Edge; it will probably give you the best airtime ever, but is not likely to push you to do your first kite loop, your first unhook trick, to do a Jesus walk or to go out and catch a wave on your surfboard. The Bandit will. a lot of the seven and eight versions broke or even lost them from its little pocket. The bar and lines on the ninth version are almost identical to that of last year. The lines are usually 21.8m long, but be aware F-one calls this setup “24m” because they add 2 meters for the bridles (which is a bit unusual). There are now options to get 2 meters or even 4 meters less versions, resulting in 19.8 or even 17.8 (!) lines (which is new for 2016). Something which is not explained on theF-one Brochure or hard to find in other reviews. 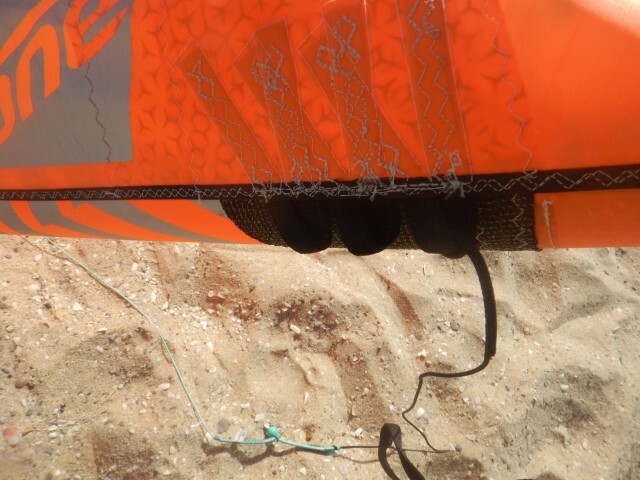 We know from our experiences in testing that a few meters more or less can affect the feel of a kite completely. If you are not sure we would suggest to buy the 24m version (so with steering lines labelled “21.8m”). For our test the 2016 bar wasn’t available yet, so we used the 2015 bar with the 21.8m setup. The colour of the bar for 2016 is also a bit different from 2015. We also noticed in the brochure of 2016 that he top of the depower line on the 2016 bar is fitted with some sort of line guide made of metal (F-one calls this a pulley) instead of the metal ring. This should overcome the most common wear out of the depower line, which lasted just about 6 tot 12 months. From our linecomparing test we know F-one uses lines coming from the French factory Cousin Trestec. They are one of the lesser strong ones out there. And we must say that we have seen on more than one occasion 2 or even 4 lines snapped due to a gnarly gust of the punishing Levante wind in Tarifa. 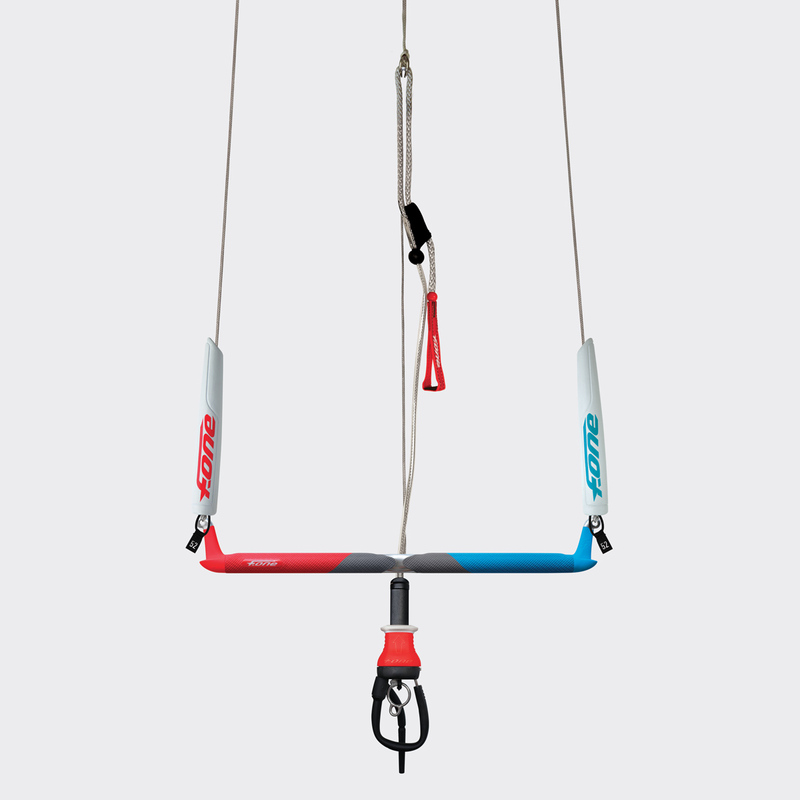 Ik zoek een 52cm bar voor f-one bandit uit 2013. Is de teede handde nog te koop en wat is de kwaliteit van de lijnen.